Celestino Luna was born in Guillena (1975). He studied at the Seville Conservatoire (BMus) and he later moved to Valencia to study with Indalecio Bonet from three years. In addition, he holds a Master in Music Performance from the Guildhall School of Music and Drama (City University, London). As a invited teacher he has played solo recital and taught in Valencia, Salerno, Graz, London, Glasgow, Chicago and Porto. 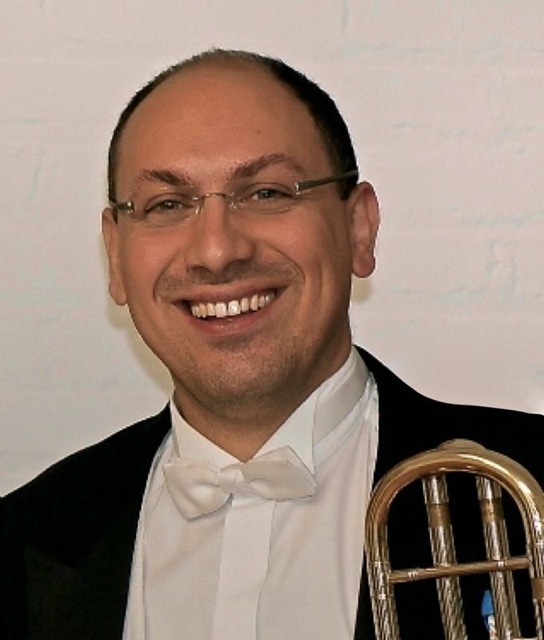 Currently, from 1996, he is a regular guest trombone player with the City of Granada Orchestra and, from 2005, he is teaching trombone and chamber music for brass at the Royal Conservatory of Music Victoria Eugenia at Granada, Spain.